CBS Films has released the final movie poster for the supernatural horror sequel The Last Exorcism Part II, starring Ashley Bell, Louis Herthum, Spencer Treat Clark, Andrew Sensenig, and Judd Lormand. Continuing where the first film left off, Nell Sweetzer (Bell) is found terrified and alone in rural Louisiana. 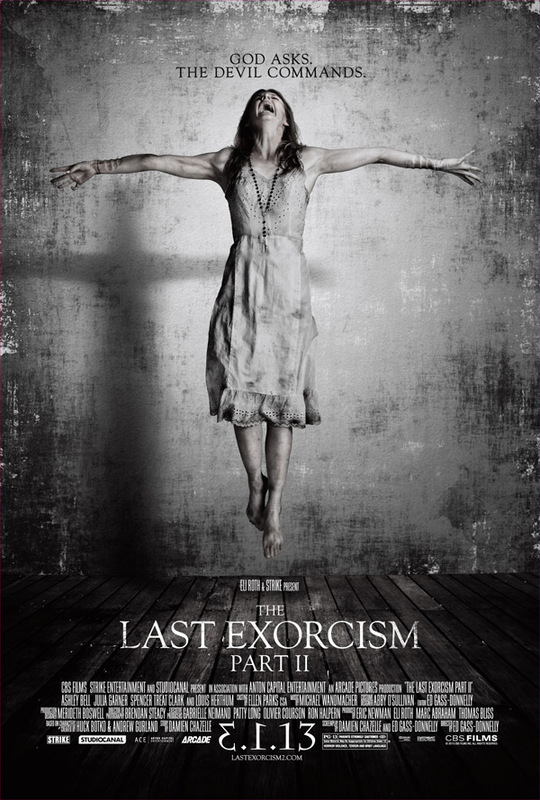 The Last Exorcism Part II opens in theaters on March 1, 2013. You can check out the movie poster below.